Bridal wear for non-traditional brides and occasion wear for the modern vintage loving woman. The Louise Rose Couture signature designs feature cuts of the 1950s, combined with influences of current trends and modern fabrics, to bring you stylish yet timeless pieces to make you feel glamorous, as well as bringing out your sassy side. Made to order from our Reading, Berkshire based studio. 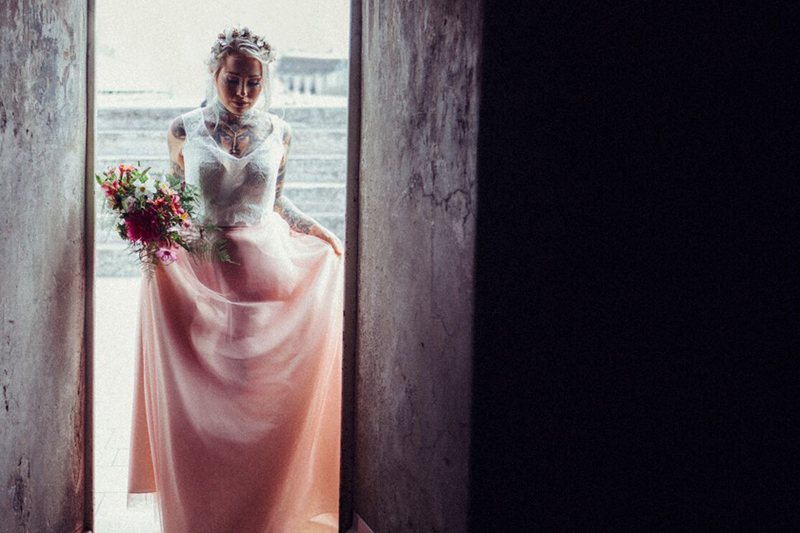 Louise Rose Couture specialises in wedding dresses for unconventional, alternative and vintage loving brides. Louise designed and created my wedding dress and she literally made my dreams come true! She was such a delight to work with, full of ideas and suggestions. The finished product and all the compliments I received were testament to her hard work and talent! Thank you Louise.